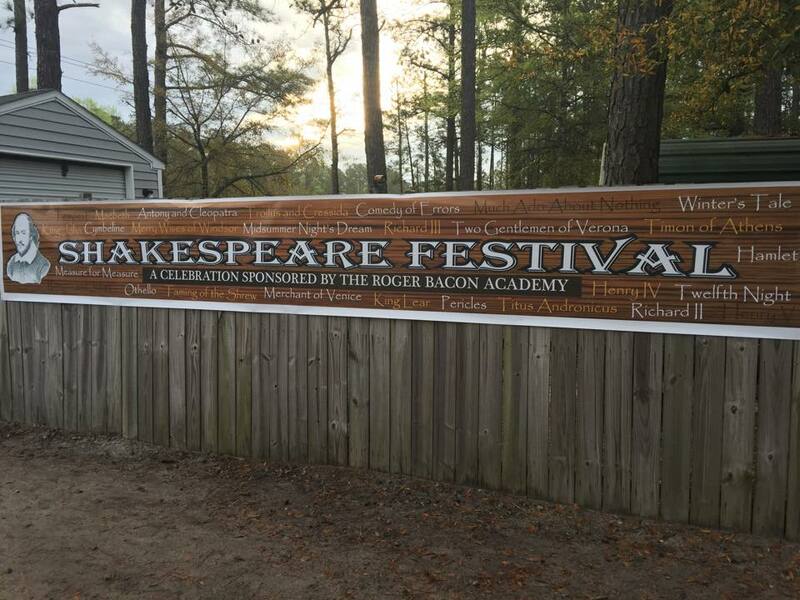 You are here: Home » Blog » “This is the short and long of it”: Local Charter Schools host first annual Shakespeare Festival! Curriculum Coach, Kim Tedder, and student wear period costumes. A great success, Shakespeare Festival will be back next year, bigger and better. 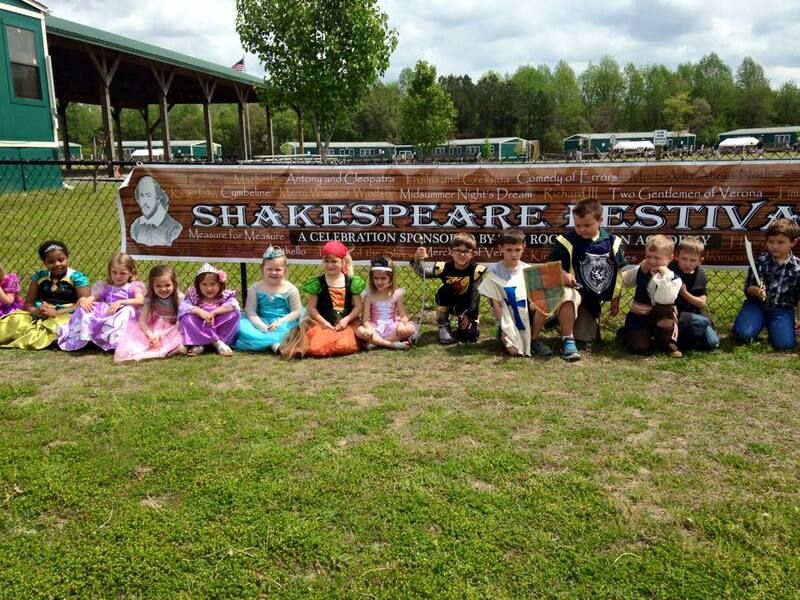 Accomplishing this will require near-visionary creativity, however, as in its first year, the event included plays, live animals, and even sword fightingStudents from Leland’s Charter Day School and Columbus Charter School, in Whiteville, returned from Spring Break last week in a carpool succession manned by teachers in ruffs, mustaches, and berets, evoking Shakespeare. 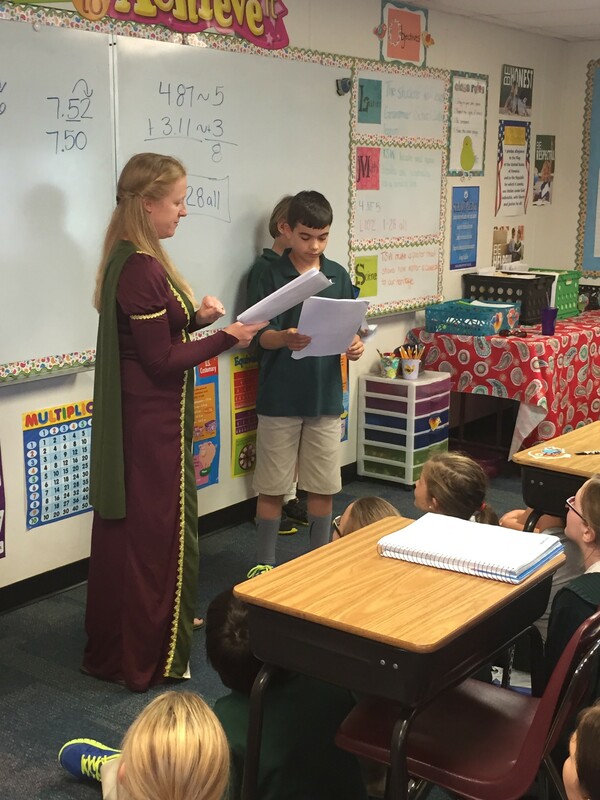 Curriculum Coach, Alison Cause-Nance, leads students in dramatic readings. 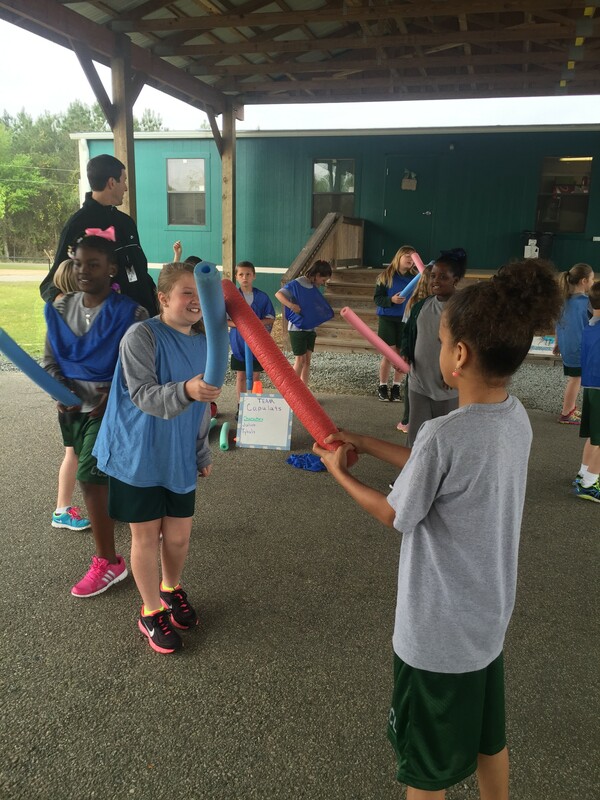 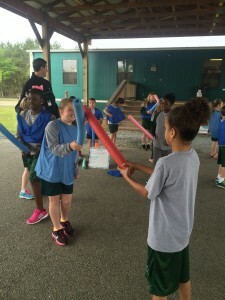 Students practice fencing in PE by reenacting a duel scene from Romeo and Juliet. 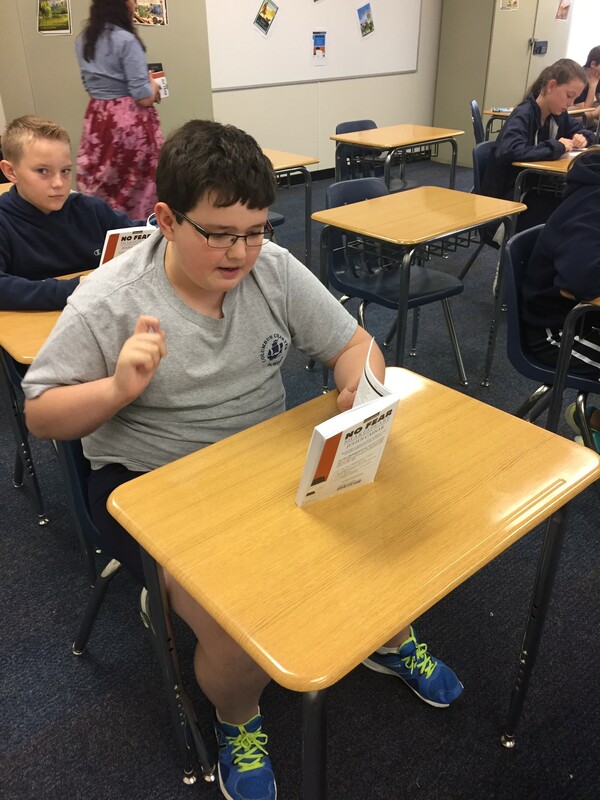 In addition to the fun, students engaged with the challenging texts. 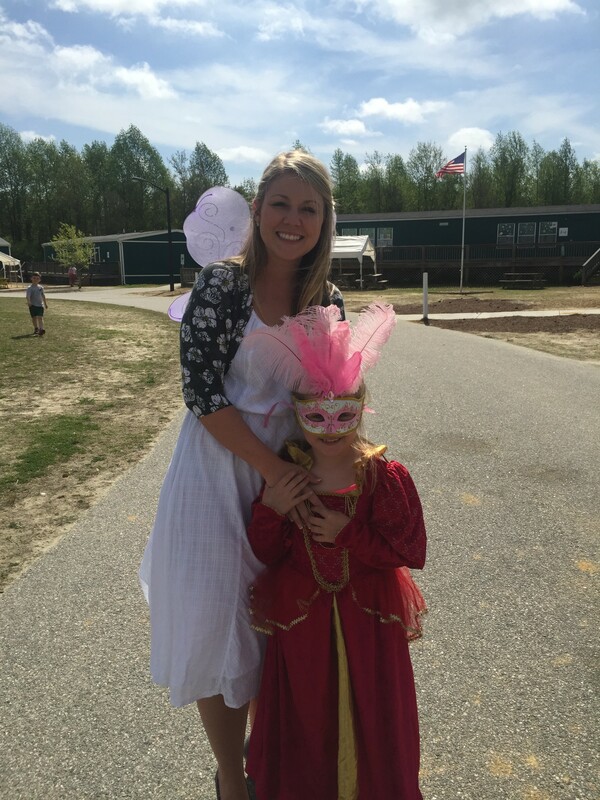 Students wore their Shakespearean best to close out the festival week!